In Ridley Scott’s film version of Andy Weir’s The Martian, to be released October 2, astronaut Mark Watney has to eat potatoes by himself on Mars after a dust storm strands him there. NASA marshals worldwide resources to rescue him and return him to Earth as surely the most-requested parade participant ever. Watney’s doomed Ares 3 mission takes place in 2035. It’s NASA’s third trip to Mars. But how soon astronauts will get to Mars, let alone require rescue, remains an open question. And private enterprises are biting NASA’s heels in the race to the Red Planet. Who will get there first, and when? NASA does have plans to send humans to Mars. In a September 17 event at NASA headquarters, the agency reaffirmed its commitment to rocket humans there by the 2030s. At the same event, however, they also delayed the first crewed flight of Orion, the space capsule they plan to use for the voyage. Called EM-2, this flight was once scheduled for August 2021. But because of new design changes, the mission will now have to wait until April 2023. The agency said that the rain-check shouldn’t change the rest of Orion’s calendar, and the first no-crew test will still take place in 2018. 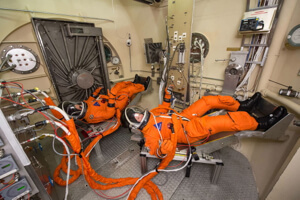 People will step aboard Orion — which will launch on top of the Space Launch System (SLS) — in 2025. Then, they will rocket toward the fragment of an asteroid previously tugged near the Moon — a stepping stone toward interplanetary travel (although some see it as a misstep). Still, the agency maintains they’re on the right track, and that that track leads to other planets. “We are farther down the path to sending humans to Mars than at any point in NASA’s history,” said NASA administrator Charles Bolden on September 17. Other large governmental organizations, like the European Space Agency (ESA), also plan to send people to Mars. ESA plans to send a rover called ExoMars to the Red Planet in early 2016, but the agency does not currently have a vehicle or prototype for carrying humans there. China plans to send an orbiter and a rover to Mars in 2020 but, in terms of humans, is more interested in visiting the Moon. 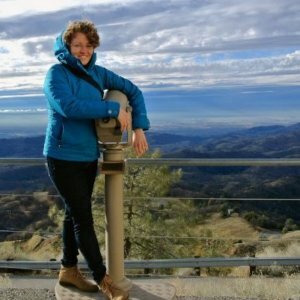 Back in the US, NASA is a big federal agency, and its engineers and scientists have to deal with budget constraints, government appropriations, piles of paperwork, and existing relationships with other big, cumbersome organizations like Lockheed Martin and Boeing. And it’s the big-slow-cautious gap that private companies and nonprofit organizations are stepping into. “We want to go to Mars, too,” they say. And they bet they can do it better, faster, and cheaper. SpaceX, Elon Musk’s venture, doesn’t just aim to explore: Musk wants to save humanity from extinction by setting up shop on other planets. 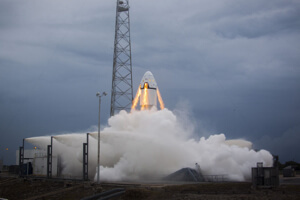 SpaceX’s Dragon capsule test fires its thrusters. Currently, SpaceX flies supplies to the International Space Station, but it plans to settle a colony on Mars. And Musk (and his army of smart people who work really hard) might be able to do that. While the details of SpaceX’s Mars ferry (called the Mars Colonial Transporter) remain behind the company’s doors, Musk recently told Vogue magazine that his first astronaut-colonists should be headed out in about 10 years. These initial inhabitants (scientists and engineers), will be tasked with building a pressurized dome — home, sweet home. After that, SpaceX plans to send new people out every two years, when the orbits of the two planets line up favorably. His launch system will be reusable, and he plans to make the liftoff and journey cheap and easy (at least relatively speaking). To have a self-sustaining colony — and thus a viable duplicate of humans as a societal species — Musk says Mars needs population of one million. Elon Musk has changed the payment, automotive, and aerospace industries just because he wanted to. SpaceX may be able to found the first extraterrestrial town. If SpaceX can pull their timeline off, they will rule both this world and one nearby. Mars One or Mars for No One? Mars One concept sketch of Martian habitats. On the opposite end of the private path-to-Mars spectrum lies Mars One, a Dutch company founded by Bas Lansdorp. Mars One offers a one-way trip for six groups of four astronauts — chosen from the thousands who applied online. The selection process was to become a reality television show, with crews beginning training in 2016 for a launch in 2026, a timeline roughly on par with Musk’s. 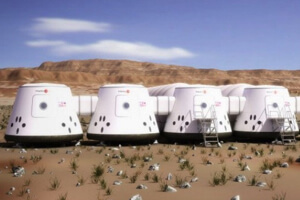 However, as a high-ranking applicant detailed in this Medium article, Mars One doesn’t seem to have the infrastructure or technology connections to back up their plan. More moderate in their dreams, the Inspiration Mars Foundation first planned to send a two-person crew to fly by Mars in 2018, as a stepping stone like NASA’s asteroid plan. That year, “the planets will literally align,” as the foundation says, bringing Mars and Earth close enough that a two-way trip takes just 501 days. Billionaire engineer Dennis Tito founded Inspiration Mars after he financed his own trip to space. But in February 2014, Tito pushed back the launch to 2021 and said he would need NASA’s Orion and SLS structures. While no plans exist between the agency and Inspiration Mars, collaborations like this may be the best way to get to Mars. NASA, for instance, already collaborates with SpaceX for near-Earth projects. The two could join forces — combining the best of both organizations, like NASA’s attention to detail and safety and SpaceX’s willingness to experiment and act quickly — to get to Mars sooner with the smallest number of snags possible. 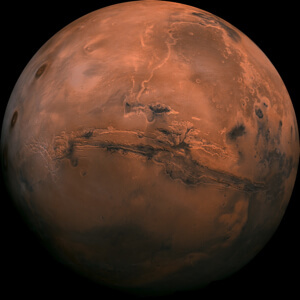 Mars bisected by the Valles Marineris canyon system. An intellectual collaboration was recently announced between former astronaut Buzz Aldrin and the Florida Institute of Technology. At the new Buzz Aldrin Space Institute, the group will draft a plan for how to colonize Mars in the next 25 years (which is also the subject of his recent book). He wants to visit Martian moons to practice bigger missions and will send people for 10-year “tours of duty.” The Institute opens in the fall. Aldrin says he hopes NASA and the rest of the US will approve of—and then implement—his plan. If all of these ventures succeeded, Mars might become crowded. But it seems likely that some combination of them will, in the coming decades, join forces — physically, intellectually, or both — to sum their individual strengths and to water down their weaknesses. On its own, however, the organization likely to be first is also the one most likely to succeed: SpaceX. In that future, martian colonists might 3D print Musk’s Teslas to cruise around the Red Planet’s dunes. And when the official NASA astronauts arrive a few years later, the private-sector spacefarers will, hopefully, share their resources and racecars.